Miss Earth Ghana 2013.Klutse beat 11 other contestants to the top prize, in the early hours of Saturday, at a well-attended ceremony held at the National Theatre in Accra. 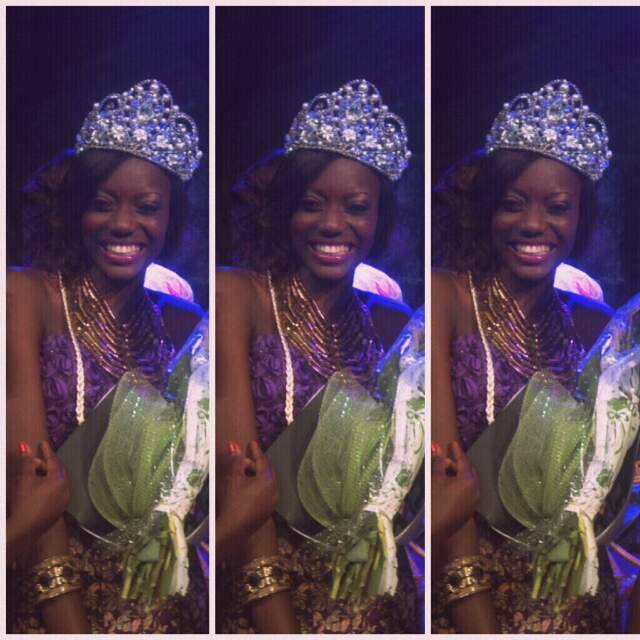 She was trailed by Naomi Bafloe, who came second, and Yayra Kuampah and Priscilla Agboada who came third and fourth respectively Klutse gets a cash award of GHC 5,000, another GHC 5,000 worth of sponsors goods and products, an official car, official wardrobe and will represent Ghana at the Miss Earth International pageant. Bafloe (Miss Earth Air) will receive GHC 3000, home theatre set, official wardrobe and a ticket to participate in an international event while Kuampah (Miss Earth Water) and Agboada (Miss Earth Fire) will respectively get GHC 1500 and GHC 1000 worth of consolation prices. An event that saw the reigning Miss Earth Tareza Fajsova in attendance, the 2013 finals also saw some musical performances from EL, Eazzy, and Yaayaa among a host of other entertainers. Miss Earth Ghana 2013 was sponsored by ACI Construction and supported by African Mining Services, DAVIVA and Eco-Spa Mineral Water.